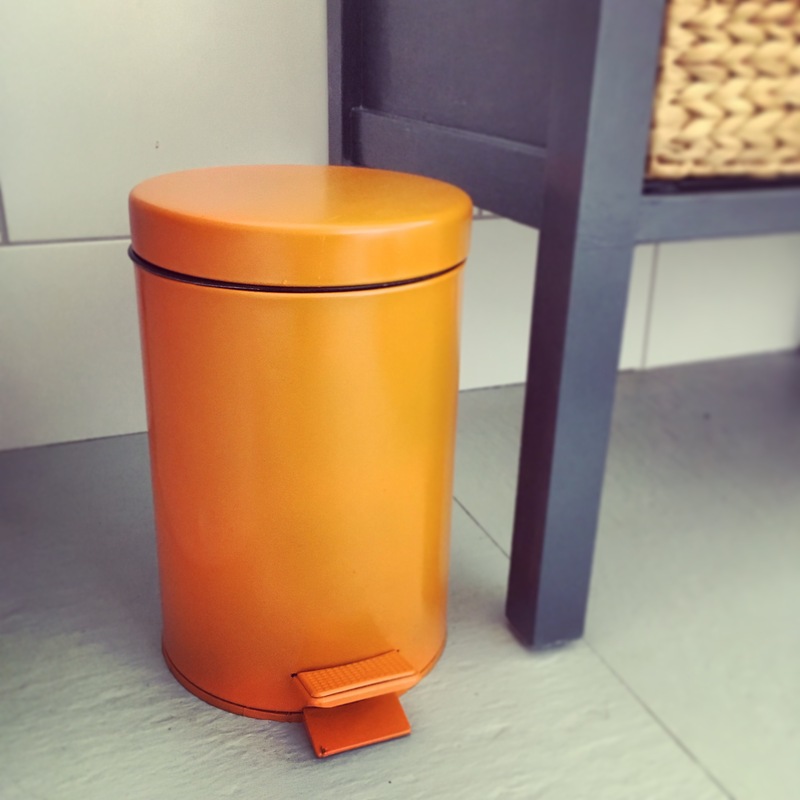 Here’s a really quick revamp for a bathroom bin of all things! Once you’ve spent all your budget on fixtures and fittings there is often little left for accessories and the little details that can really bring a scheme together. Changing accessories can be expensive too so have a look at your existing things and see if you can revamp instead. For my new bathroom I wanted a few pops of colour and as I can never throw things out before attempting a revamp this was a really easy one. 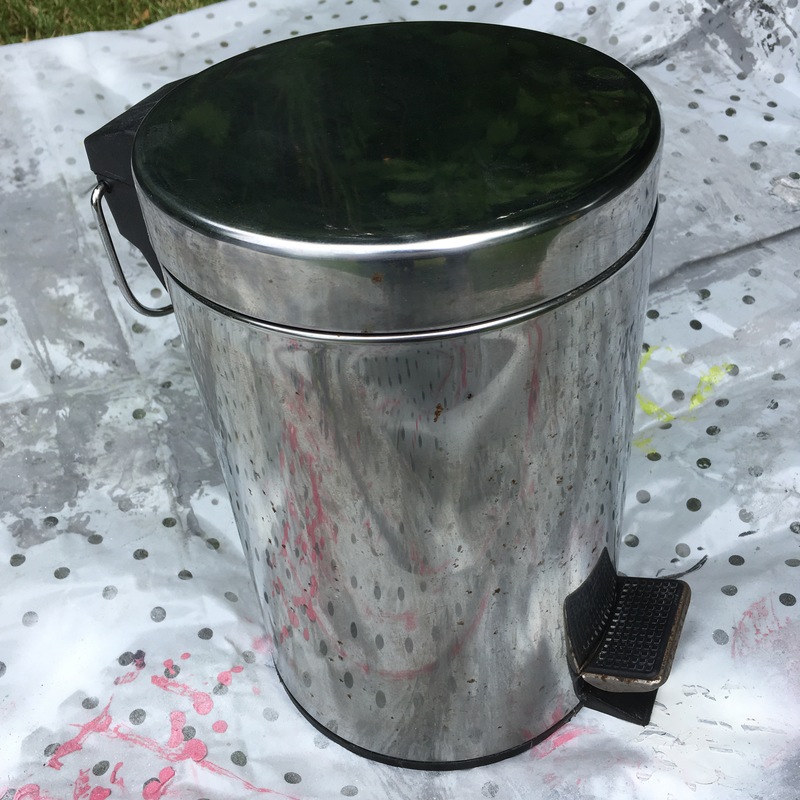 My old bin was starting to rust and looked pretty grim so I thought I’d try spray paint. I had a look online and couldn’t find a similar one for less than £30 so this is a real bargain with just 3 coats of spray paint. 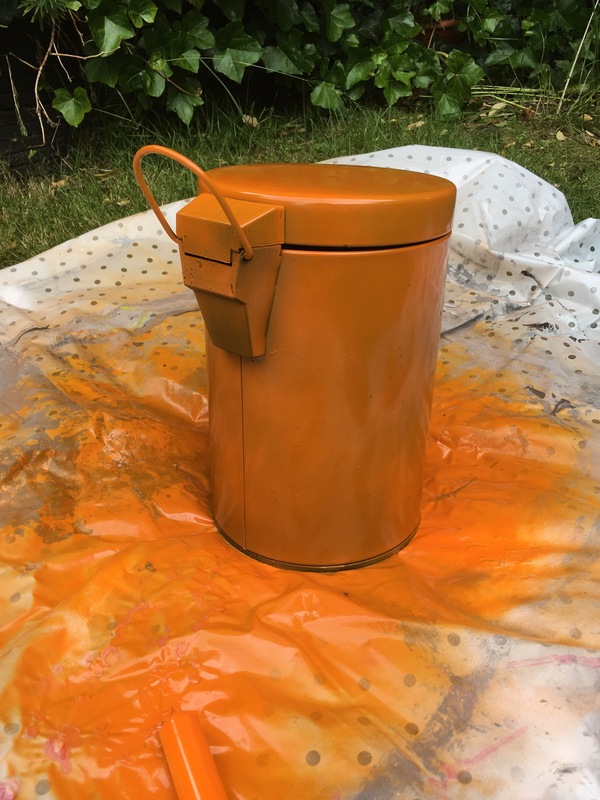 One old rusty bin, one tin of spray paint (I used Rust-Oleums Painters Touch in Real Orange) and one protective mask. It’s best to do this outdoors as spray paint can go everywhere. Use and old cloth or a piece of cardboard underneath to protect the floor. A mask is essential too, you can buy these really cheap from DIY stores. Give the bin a good clean. 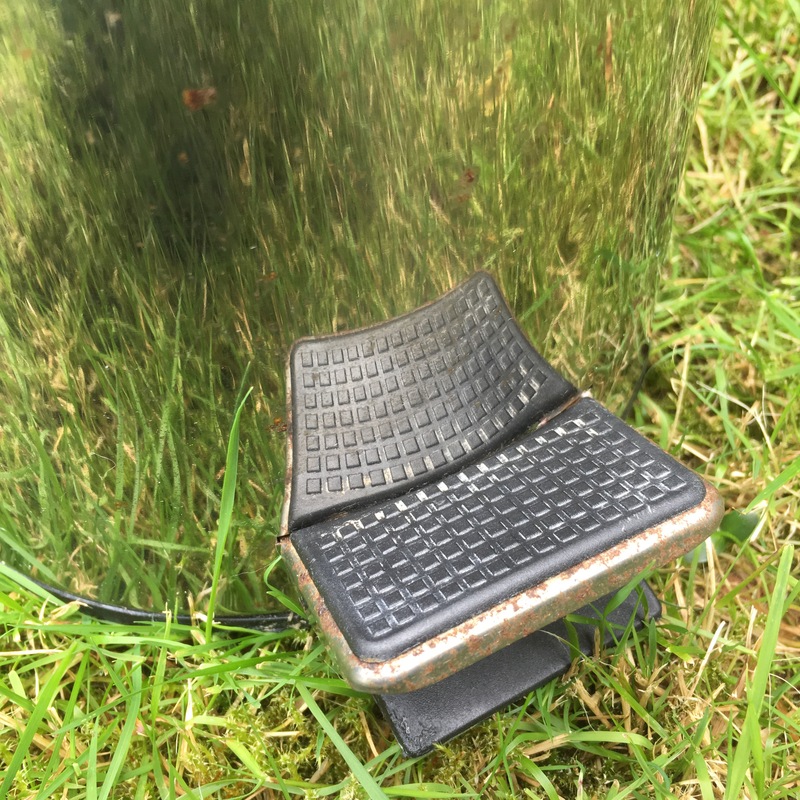 If there are greasy marks or dirt on it the paint with stick to this rather than the bin itself so will flake off quickly. Hold the can around 12 inches away and go for it. Keep the can moving with nice even strokes. Avoid the temptation to cover in one go and always go for 3-4 thin coats. If you hold the can in the same place for too long you’ll get drips. If you do get drips then don’t panic, either wipe away straight away and try again or wait until it’s dry and sand away the drip with fine sandpaper. And that’s it. Really simple to do and looks so much better than the rusty old one.